Rastos Deluz Bathroom Blog: Shed loads of style – which shed would you pick? Today there are outdoor buildings that offer much more than a typical shed – not that there’s anything wrong with a typical shed. Shed designs and other wood framed outdoor buildings now boast real aesthetic appeal, while doing important jobs. This is the classic shed, as you might imagine at the bottom of a traditional British garden. This kind of shed is still important and works brilliantly as a building for housing tools, fertilisers, plant pots and more. The ‘garden room’ mixes function with comfort, so you can use it for storage but you can also use it as a cosy summer house where you can relax and enjoy your garden in peace and comfort. Perhaps you are looking for a greenhouse. If so, the octagonal, wood framed greenhouse is a great choice. It looks good, doesn’t take up too much space and provides you with a space to grow tomatoes and other treats. 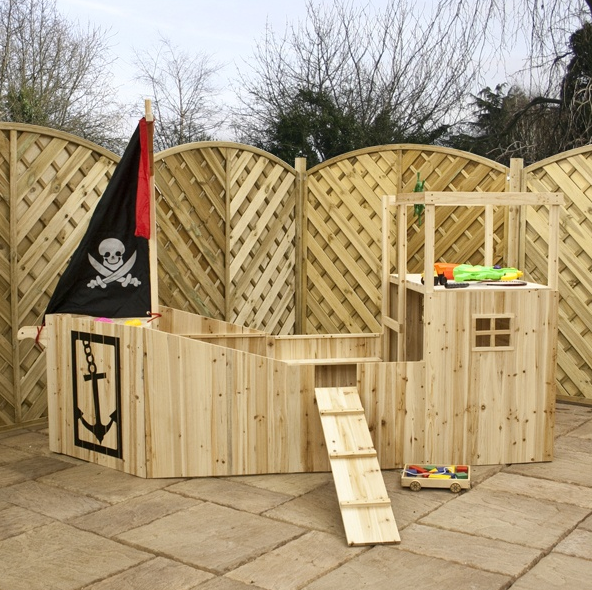 If you want to treat the kids they are bound to absolutely love this wooden pirate ship playhouse. In here they can pretend to be sailing the high seas, having swashbuckling adventures, while you know they are safe in your garden. See Sheds Direct for more. Decorating a place is creative task & I sow Michael work and agree with you. If any one need decoration Ideas visit us Interior decorator Thousand Oaks. Insolvencynotices is a website to providing the quality in bathroom trading and here are also options available for the bathroom trade shed and bathroom trade shed reviews. These are fantastic tips! I just had work done in my garden, and we had an office built out there for us. It’s amazing, super warm and cosy (even in the winter), and lets us look out out the fields to see the beauty in nature.